Executive Summary: Los Angeles 2032, most Americans with any sort of privilege live in walled communities for protection. Lauren Olamina's community is overrun and she flees north with other survivors. Lauren has a vision of a new religion and as the refugees cling separately to survival, a community forms around Lauren and her religion of Earthseed. Dystopian Visions: With a collapsed government that is all but powerless to protect its citizens, the America of Parable of the Sower is pure dystopia. I frequently want to call this post-apocalyptic, but the only apocalypse is the breakdown of society and government services and I usually look for something extra for the apocalypse, though to the characters in the novel there is likely no real difference. Utopian Undercurrents: God is change and humanity has the ability to reshape themselves and reshape god, and by doing so, to rebuild a better life out among the stars. So much of Parable of the Sower is a blended post apocalyptic dystopia, but Earthseed is the utopian undercurrent running through the novel - it's the little bit of hope and possibility of what humanity could be again. Level of Hell: Seventh, because apparently there is still sort of a functioning nation tucked into the enclaves and wherever the power of the Army can reach, but this is a violent and nasty America. 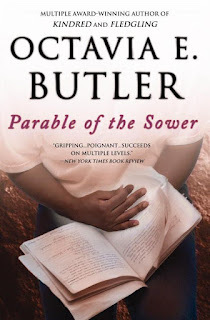 Legacy: Nominated for a Nebula Award in 1994, Parable of the Sower is one of the standout novels in the superb and too short career of Octavia E. Butler. It remains a powerful and important novel. In Retrospect: Parable of the Sower seems eerily prescient right now. Set not that far into our future the novel begins to take on some frightening possibilities as something not as distant as it might have as when it was originally published in 1993. More - Butler envisions a demagogue candidate for President calling out to his followers to "Make America Great Again" and encourages violence against anyone not a white American in such a way that he can never be truly blamed for the actions of his followers - but it's clear that he supports and approves of it. Naturally, this is the man elected to office. This is a frightening plausible future America that I can only hope is an alternate timeline that we're not going to go down. 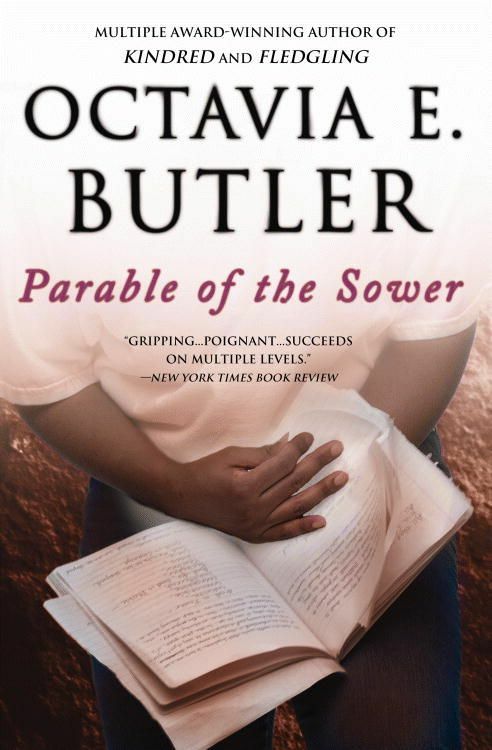 As good and important a novel it was when first published, Parable of the Sower is a vital and essential novel today. Note: this dossier has been adapted from an earlier review.